Rushmore Vacation Rentals provides complete management for short term rental properties as well as customized caretaking. If you are interested in using your property as a vacation rental, we are here every month of the year but our property management services are not seasonal. 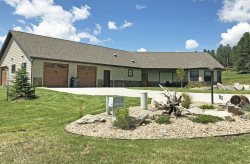 Fully licensed by the South Dakota Department of Real Estate, we apply all of our professional skills to the quality care and the qualified renting of your home. We have the experience to maintain your home to your expectations, to deal with all tenant interaction, and to keep steady income a priority while dealing with local market demands. Our homes are always attended to before and after every guest by staff, and independent service providers who share our same commitment to excellence. If your future rental home is in need of any area of improvement, we may be able to assist in various aspects of home improvement. Our well established and versatile inventory of local service providers, contractors and vendors give us the ability to arrange quality work to offer you choices based on your needs and long term goals.